I'm rediscovering MAC. Last year, I bought my first MAC blush in really long time (i.e., years)... Now, every time I pass a counter, I always end up leaving with an item (or four). I recently picked these goodies up at the Bay (I'm there way too often). I received a $20 cash card in the mail to spend on a beauty purchase of $100 or more. The letter said it was for "preferred customers" but I think that's just a gimmick to make us feel special and to get us to spend more money. But hey - I guess it worked because I ended up using it at the MAC counter. I picked up two blushes and two lipsticks for myself, and a lipstick (in Lovelorn, not pictured) for my mum. Let's start with the blushes. I am a huge fan of sheertones. They're pigmented & buildable. My favourite part is how foolproof they are. Apply a little, apply a lot, it still looks great. 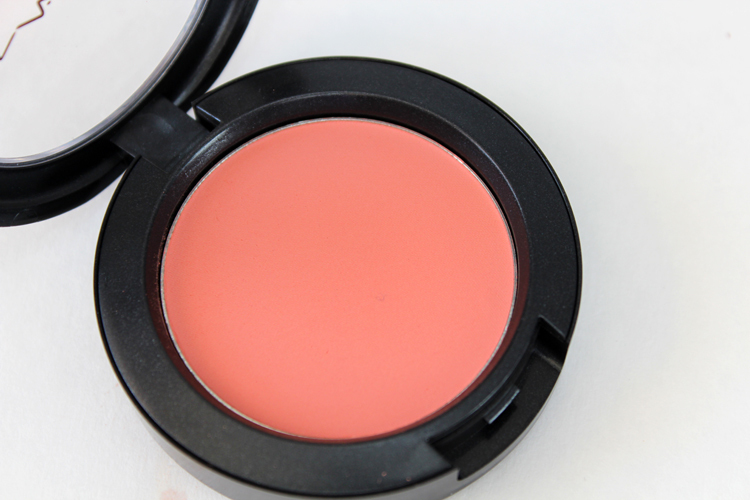 Pinch O Peach is a beautiful matte peachy-pink. I originally had my hand out for Pink Swoon but then I saw Pinch O Peach and I fell in love with the glow it gave my complexion. The other blush I picked up was Peaches. It doesn't look like much in the pan, but it looks great on. It is a true matte peach. Again, it looks amazing with my complexion. I will be doing a post on how they look on, swatches don't really do them justice. Now the lipsticks, both of which are Lustres. Lustres are my favourite MAC finish. They're comfortable on the lips, good pigmentation, buildable, and they have a slightly glossy finish. See Sheer was my first choice. It's a pretty coral pink. I've been wearing it daily for the last week now. It's a great every day shade. A very natural wash of colour. Lustering is a fun (but sheer) pink. It's a great summer colour and it really brightens the face. I have my eye on some Amplified lippies next. Vegas Volt for one. I've been meaning to get it for months now. 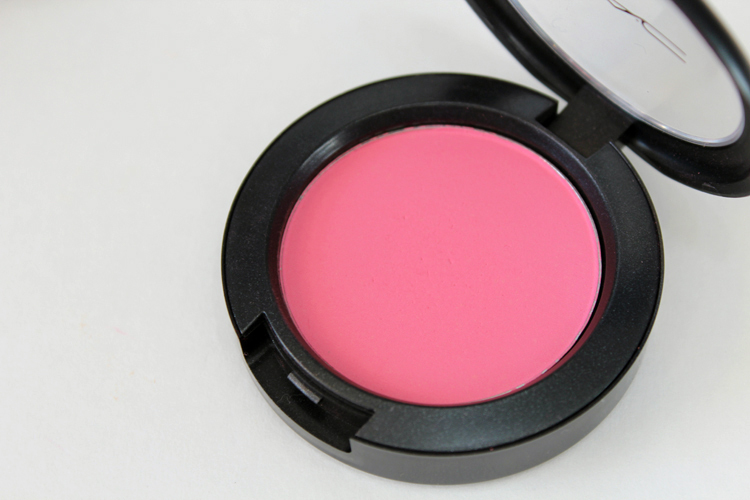 I love the MAC powder blush in Buff! It's matte and it is deceptively pretty while being natural. 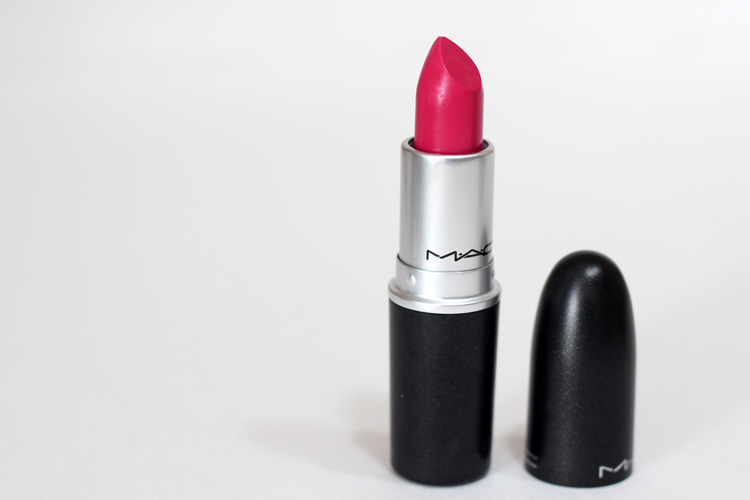 I have also rediscovered MAC recently- they have the coolest lipstick colour. I pick them up at The Bay as well! I purposely plan out my routes so I don't pass one on my way, otherwise I show up late and broke looooooool But that peach shade is absolutely gorgeous! I've had pinch o peach and see sheer on my list for so long now. I really need to make a trip to Mac and stock up on some new things. I keep going to the likes of sephora where there are multiple brands. I MUST get those lipsticks! They look gorgeous. I used to be one to wear bold lipsticks every day when I was in university and living in a larger centre, but I have since moved back to my hometown (been here three months, now another three months to go before I make the move to Vancouver!) and well, small-town Saskatchewan isn't exactly the most welcoming place for bold lip colours. So my bold ones will have to sit pretty for a little while longer, and I will definitely get my hands on those Lustre lipsticks. I love your colour choices. Definitely go with Vegas Volt for your next purchase! It's my favourite spring/summer shade. 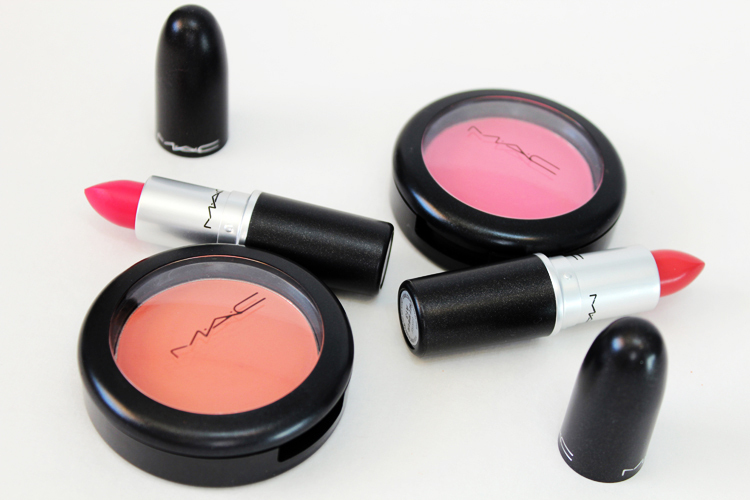 I also love to wear Girl About Town from the Amplified collection, and also the pink Viva Glam Nicki! Hey, awesome choices. 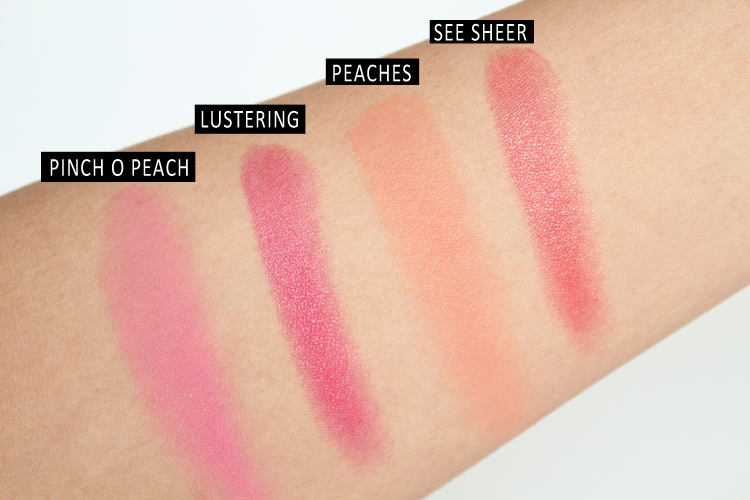 I am looking forward to seeing actual lip swatches plus blush on cheek. 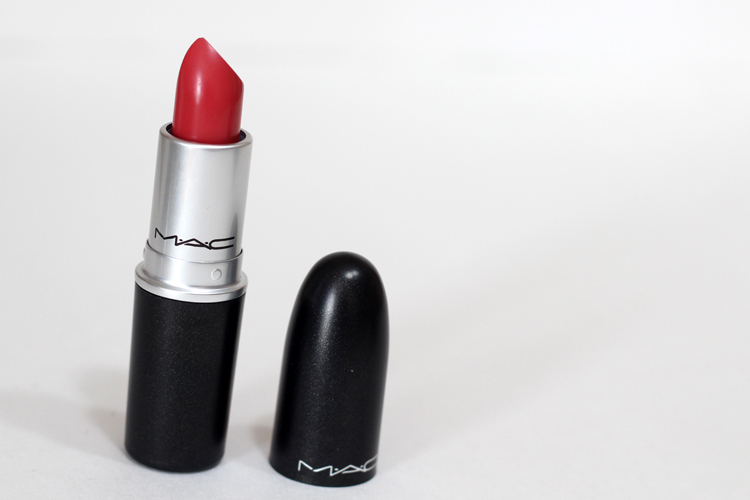 I currently have an Amplified MAC lipstick in Craving. Why dont you try it out?. It would look great on you! Ah! A fellow MAC addict! We're alot the same- I have trouble with leaving MAC with less than 3 or 4 products when I walk by... Lustering is for sure one of my most favourite lipsticks, I wear it all the time! The other day when I was there I picked up Chatterbox to add to my collection. Such a fun sunny colour.